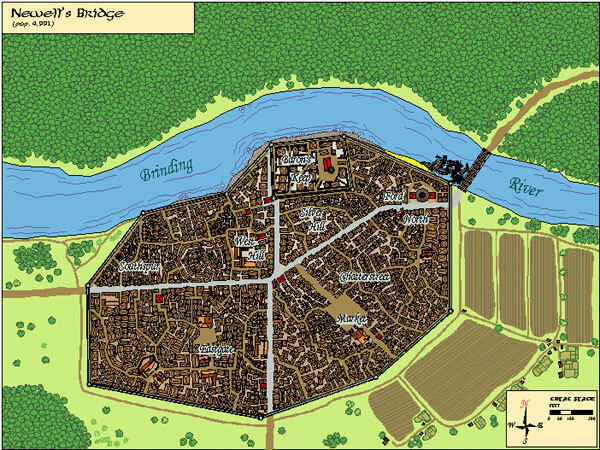 This is a map of the large town of Newell's Bridge, in Khalanaar's Borderland's region. This map was developed as a substitute for the town of Brindinford noted in the "The Speaker in Dreams" module published by Wizards of the Coast. Contact me by email if you'd like a copy of the CC2 and the Town Businesses files.